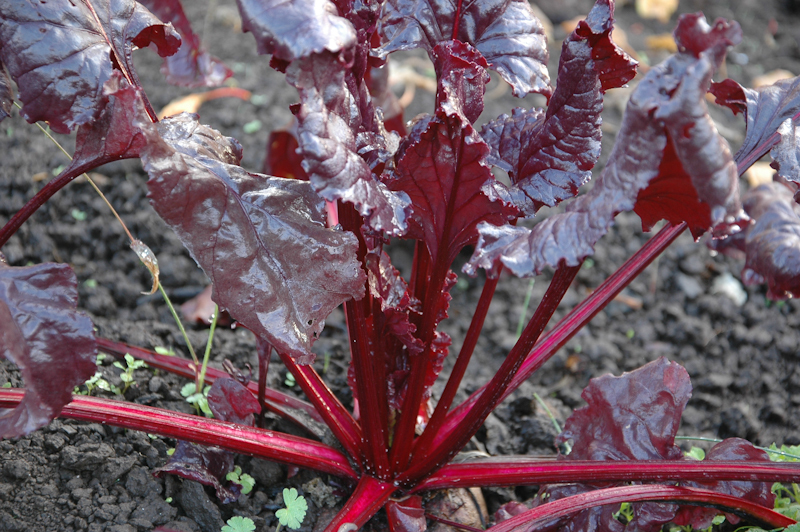 Truly a salad beet, with the darkest purple-red leaf a salad grower could want. This strain comes to us well-selected from our breeder friend John Navazio, and we selected it hard again for uniformly dark leaves, even in baby growth or summer heat. 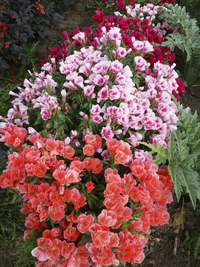 Roots are bright red and attractively striped and make a beautiful root salad.